Here you will find a temple priest and SDMC President who is a role model for the youth of his village. This is the story of Dayananda Swami who studied only till class 12 and now experiences a world of enjoyment in teaching children in his village. An active 43-year-old, he juggles many roles – a priest at the village temple, one of the main organisers of cultural events in this small, sleepy place, and President of the School Development and Monitoring Committee (SDMC). Dayananda Swami has also long had another crucial task, self-assigned and diligently executed. Every day he is at the village’s government school to teach children Mathematics with Akshara’s Ganitha Kalika Andolana (GKA) kit. He got captivated by the teaching-learning materials in the kit at one of the SDMC meetings he chaired and started interacting with the teachers and Akshara’s Field Coordinators to learn more about it. A galvaniser in the village, he encourages youth to help children learn Mathematics and banish their fear of the subject. On occasion, he takes up cudgels too, on behalf of education. He once fought to get a teacher back to school, who had been absent for over two years using political influence to stay truant. A role model and an inspiration to village youth, he motivates them to teach children for free. This is the story of Almas Kousar, the Nali-Kali teacher for classes 1-3, who stresses on cleanliness. 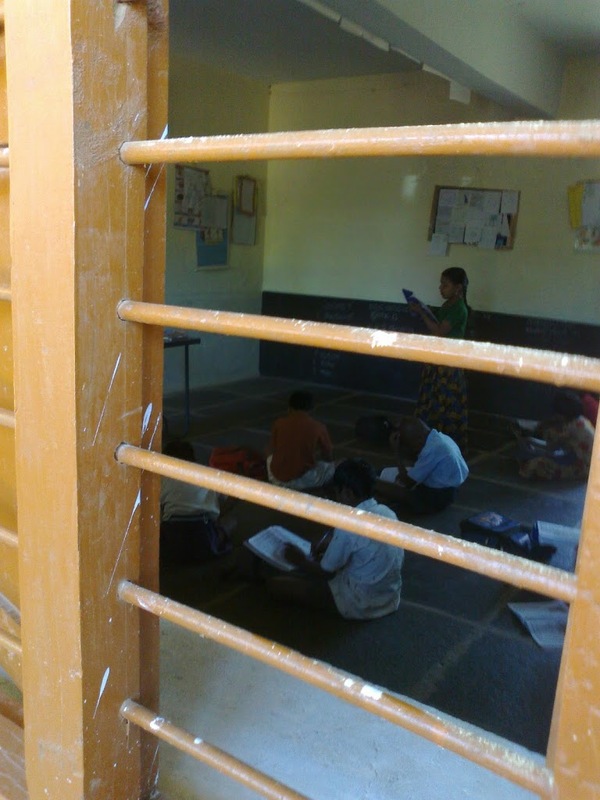 She also teaches students of classes 1-5 English at the government primary school in Doranalapalli village, Rashcharevu cluster, Bagepalli taluk. Every morning, Almas had to confront the sight of students coming to school, unkempt and dirty, without a bath. She tried hard to convince them of the need for good grooming habits. But all her efforts were futile. Her students started giving excuses – no running water at home, no soap, and on it went. Matters started getting out of hand, forcing Almas to call for a meeting with School Development and Monitoring Committee (SDMC) members and the community and have them convince the parents about the value of hygiene. When the community got involved, the parents realised the importance of their children practising proper self-care routines and coming to school wearing a clean uniform. Nor was Almas neglecting education. Her dedication to all aspects of her students’ school life is exemplary. She has taught them to converse in English and students speak fluently. Her school wins prizes in almost any competition or event organised at the cluster level. The community too is keenly involved these days in its functioning. 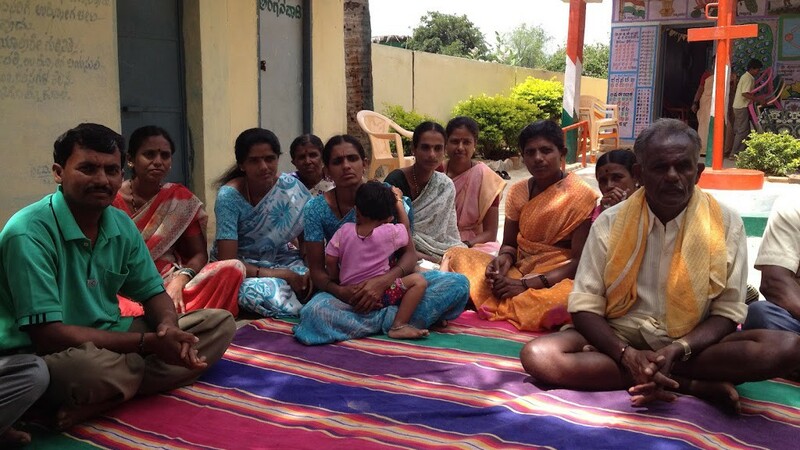 Last week, Monalisa Hota from our Research team visited our programmes in Kushtagi block, Koppal. Below, she shares her experiences of the school visits and English training. “My visit to Kushtagi on 15th and 16th January 2013 was divided into two parts: Observe the Second round of English training to the Master Resource Persons (MRPs) and school visits. I spent the whole of first day with the 13 who came to participate in the training. Almost all of them were familiar with Akshara Foundation and Kanchan Bannerjee as they were trained before, except one very enthusiastic teacher who was new but insisted on being trained in this round. She seemed qualified enough to grasp the new material even though she was new to the training itself. Their English was far from perfect but their eagerness to learn and teach this ‘foreign’ language was impressive, to say the least. While the group of participants had almost equal male and female participation, more males teachers were better in spoken English, confidence and energy. Since the training was being conducted within a school, availing children for teaching learning purposes was easy and that enriched the whole experience for the participants. Kanchan’s ability to break this complex language into simple digestible pieces and to make the training as hands-on as possible by involving the children of the school played a major role in sustaining the interest of the participants throughout the session. The process of training itself was very effective. However, the fact that only 50% of the invitees could make it to the training was an issue worth discussing and resolving for future. Despite an agreement with the Government to set some days aside for Akshara Training, only half could attend. One of the teachers called Kanchan to express his discontent with the Principal’s decision to call him back to school while he was on his way to training; he desperately wanted to participate. When such promising, enthusiastic and energetic teachers face unnecessary and avoidable hurdles, it’s a loss to all of us, especially the children. These are the kind of teachers we need in this time of crisis in the teaching fraternity. Is it possible to retain their energies before they are lost to the ‘system’? New as it was to me, I was constantly attempting to process these new pieces of information, reflect, discuss and think of possible solutions. Next day was the day of school visit. Based on one article I had read on KLP on the usefulness of School Development and Monitoring Committee (SDMC) in creating an environment for learning, I was curious as to what was the situation in the schools that I visited. Out of the four schools I visited, I found the SDMC active in just one school and that was the school in a 200-households small village named Bailihard. This school was simply mind-blowing. Every single foot of the premise was prim to the last detail; the periphery was lined with trees, shrubs and plants, the playground itself had a volley ball net (wow! ), the floors of the corridor and the classes were spotless (not marble floor spotless…but clean), the staff room was no less than a small conference room with green table cover and cushioned chairs, and the toilet too was spotless and shining. I was told that the SDMC was very actively involved in the maintenance of the school; I saw the SDMC President dedicated to beautifying the surroundings, unaffected by the visitors. 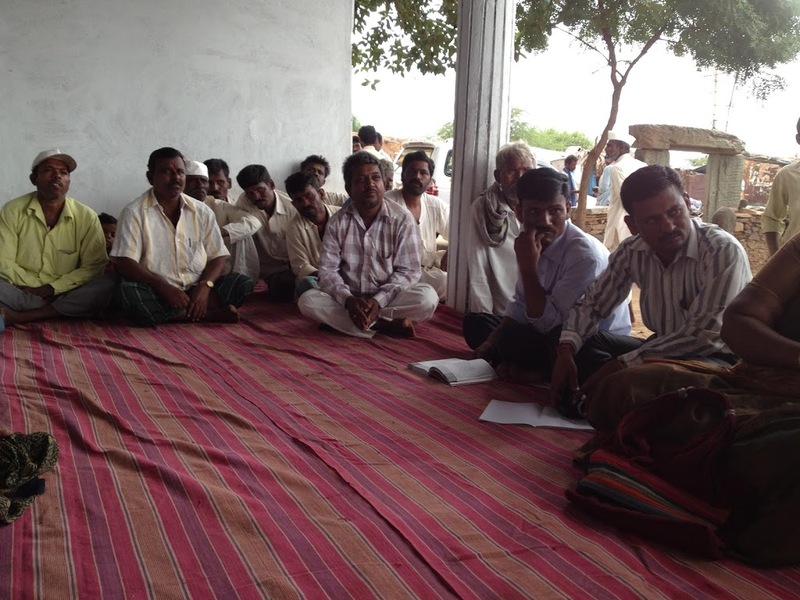 Most teachers including the Principal were out for Samalochana Sabha, a monthly meeting on exchange information. However, those who were left behind were quietly and diligently going about teaching; they appeared content and engrossed in their work and kept the children constructively occupied too. 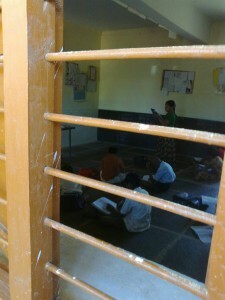 While the two primary classes were being taught by teachers, the 5th class sat quietly by itself. All of them could fluently read the text from standard two book. Just as I was about to leave the school premise, I noticed a girl of this class reading from her book with the other students repeating after her. I witnessed a self-managed class in the middle of other schools that were barely able to function even with the teachers. This serendipity felt so perfect that it reminded me of Meluha (an imaginary place in Amish’s Shiva Trilogy where everything goes by the rules and everyone follows them diligently and efficiently). I agree, quite an exaggeration but relatively speaking, it felt a lot like that. However, this moment of utopia ended as soon as I entered the next school, which was as small in terms of student and teacher strength but was quite the opposite of the ‘perfect’ school: the girls’ toilet was locked and perhaps unused as there was no drop of water anywhere around the source of water, the staff room was tiny with just one very small desk and one chair, and the children just sat listlessly. When the 5th standard was tested on reading, half were unable to read, some of these were not even able to recognise letters. 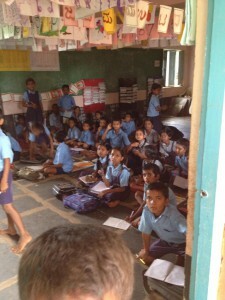 Similar to this was another school in Koredkera which had a much larger student and teacher strength. But this school had infrastructural issue as its three Nali-Kali sections were squeezed into two rooms of which one room was packed with 64 students gazing blankly at the wall. There was barely enough space for any movement, let alone conduct the classes as per the methods. They are short of rooms, the teacher said. They were also short of two teachers and had a Pupil Teacher ration (PTR) of 1:48 instead of 1:35. The school lacked SDMC support. With a defunct SDMC, the School Development fund was returned to the source. 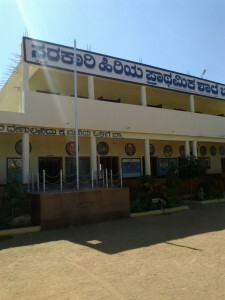 Classes 4 and 5 were merged for the day due to the Samalochana Sabha held in that school. Out of the seven students, four could not read when tested on reading from second standard Kannada text books. In general, I also observed these children to have hygiene issues. Moving on, I had a chat with the Principal of the school where training was on. This school was short on rooms and had no boundary wall, as far as I could see. The toilets were open but seemed unused. The Principal who was into 33rd year of service was very happy to know that I knew Hindi as she was unable to express herself in English. So, we managed to exchange out thoughts. In the first minute of our meeting, she complained about the lack of cooperation from the parents in creating a learning atmosphere at their homes. She said that “children spend 7 hours or so in school and we make so much effort to teach but the moment they go home, all our efforts go waste”. Then she complained about the SDMC’s lack of support towards school development. As she compared the present day attitude of parents with that of 50 years ago, I could see that she was unable to incorporate the change over the year that has led to high enrollments thereby making teachers’ role even more challenging. I cautiously shared my observations of the school in Bailihard to get to know her better, careful not to offend her in any way. She expressed mixed emotions of surprise, defense and helplessness. Even though she had not seen the school herself, she knew it was a small village and the school gets a lot of support in planning and development through SDMC and others. “Our children are also good Madam”, she said when I told her about that 5th standard that was functioning by itself. One of the teachers of this school had a stick in her hand, as she sat and chatted with her colleague, and occasionally did “hey” to shut any noise that disturbed her. None of the teachers taught, instead they sat chatting in pairs while monitoring the classes. From what I understand, while blaming and complaining comes naturally to all of us, the solution lies in believing in change and becoming the agent of change. So, even if an active SDMC is instrumental in learning of children, must the school remain dependent on just that or they could be empowered to create an SDMC that works for their children’s betterment? If the school believed in themselves and said ‘we can’ instead of ‘we cannot’, I feel a lot would begin to work out; because only then would they begin to think of ‘how to’. 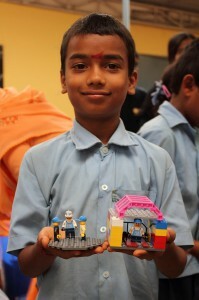 LEGO Habba 2012 : A big success !! 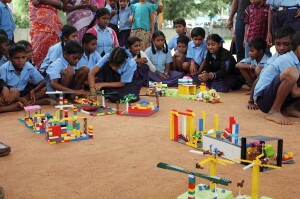 The LEGO Habba, happening every Saturday from October 2012 to December 2012 in selected government schools in Bangalore, concluded recently. The event had been been conceived with the aim of having Parents, Teachers and Children engage in a creative LEGO brick activity in school. This was good way to ensure that Parents and School Staff build a good relationship to ensure that they jointly do the best for the child. From schools in Siddhapura, Austin Town and Harappanahalli, reports streamed into Akshara from the library resource team about the festive atmosphere the Habbas were generating, the light, happy mood of children, their buoyant creativity and the quite unbelievable models they designed, the parental participation and the support of volunteers and school managements in making the Habbas a huge success. Groups of children made thematic models from stories that came out of their memory trove, stories they could best represent through art, design and construction, with the hundreds upon hundreds of bright, multi-colored, interlocking LEGO play-and-learning material before them. 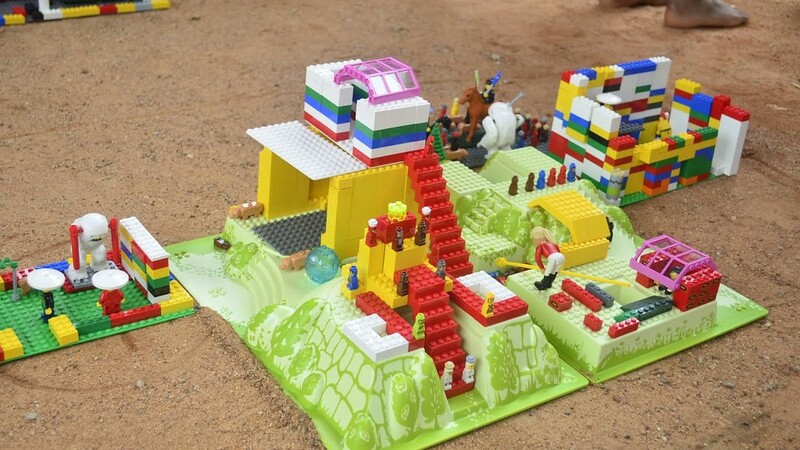 Children joined and fixed and connected the LEGO bricks, set elaborate stages for the characters that would live in their stories, the trees and animals that would inhabit them and built towers and forts and simple dwellings. At the school in Austin Town the children of Std. I, II and III chose The Thirsty Crow from the Panchatantra for their model. For Std. IV children it was The King and the Parrot, again from the Panchatantra, its characters a bit more complex. Soleman from the cartoon serial was a more tricky concept to represent, but that is what Std. V children chose to depict. Std. VI children came up with The Golden Axe, a well-remembered story of theirs, and had a forest ready for the tale of the honest woodcutter who was gifted the golden axe by the river god. The children of Std. VII did something unique. They devised their own story, made animals their protagonists, assigned each a role and character and had them play out their parts in sequences. Their story was almost similar to The Royal Toothache published by Pratham Books. 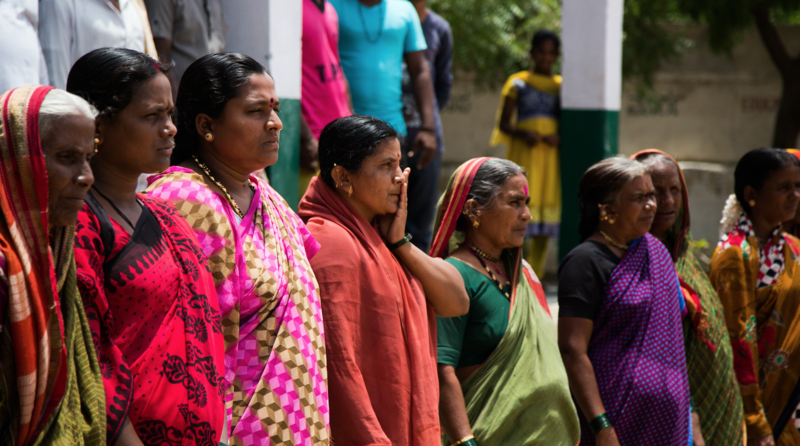 Thirty five parents showed up at the Siddhapura school and though they were all shy and disengaged in the beginning, not knowing what to expect, Akshara staff and Fidelity Information Systems (FIS) volunteers thawed the ice and brought about a great artistic commingling. It was all over in one short hour, the flying sparks and the bursts of ideas translating into solid substance, and the children stood under the marquees with their models, full of pride and achievement and ownership, surrounded by an appreciative and applauding crowd of parents, HMs, teachers, volunteers, School Development and Monitoring Committee (SDMC) members and Akshara staff. They spoke enthusiastically about what they had so spontaneously created, their stories, their models, and how they went about it. Over 130 volunteers from various organizations like FIS, Robert Bosch, CGI, Hibu, iGate and schools like Inventure Academy organized the habba at 16 schools over Saturdays. Thanks to their high enthusiasm and passion, the habba was a great success !! 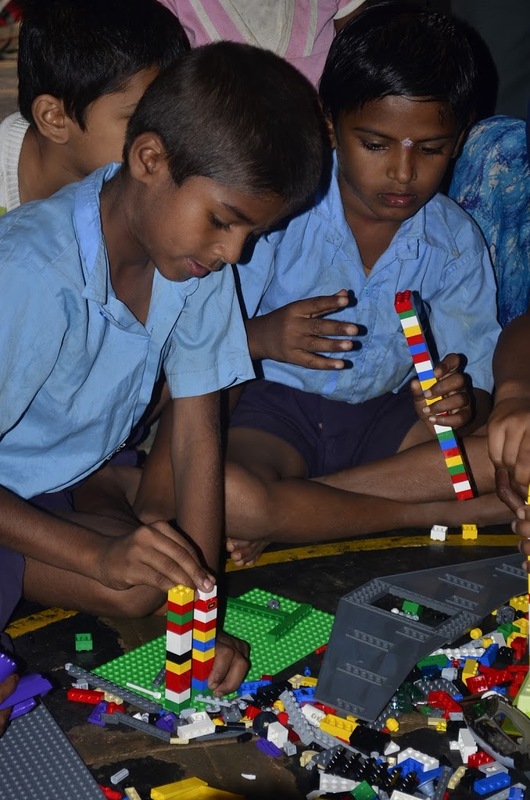 The last two LEGO Habbas were conducted at the Community Education Resource Centre (CERC), or community library, at two Bridge Schools run by Samruddhi Foundation. It is an Akshara – supported CERC, run with donor contributions from ING Vysya Foundation. Around 160 children from a local rag-pickers’ colony attend the community library and the team had introduced them to LEGO’s learning and creative opportunities early in the academic year. Here’s a wonderful video created by Inventure Academy on the habba. The video tells you the story of the habba and how the children, parents, teachers of GKHPS Handenahalli and the students of Inventure Academy participated in it as a single community. 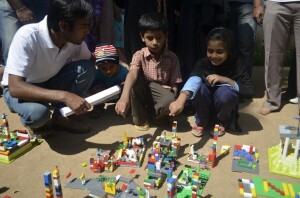 LEGO Habba begins with a bang.. 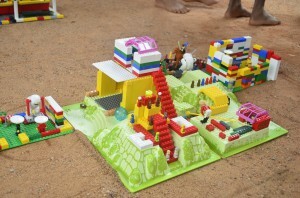 The LEGO Habba kick-started with a bang on Saturday, 3rd November 2012. 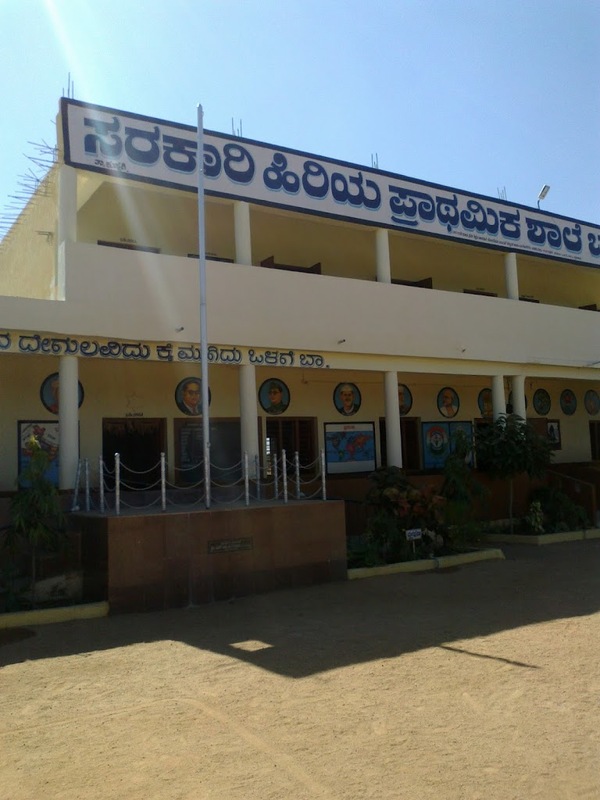 The first set of schools to participate were GKHPS Siddapura, GKHPS Handenahalli and GKHPS T.C. Halli. 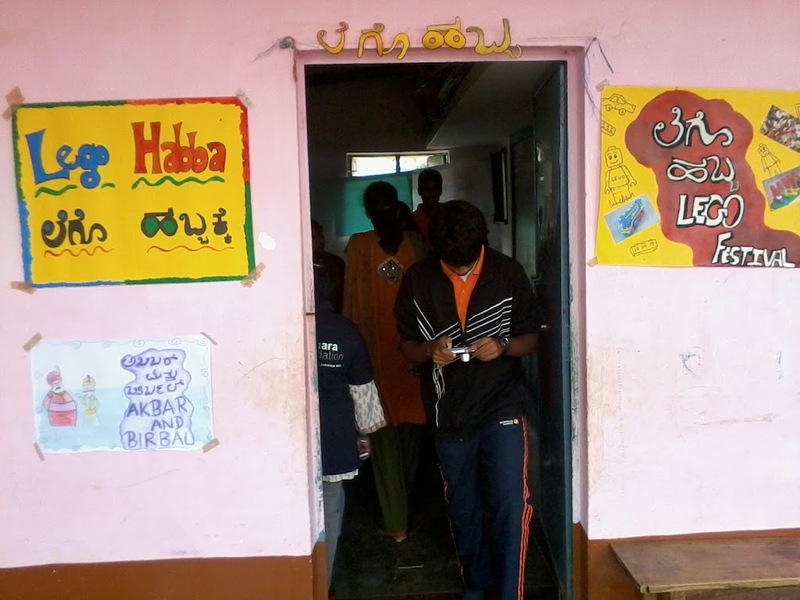 Around 300 children, 80 parents and 32 volunteers participated in these schools. While employees from Fidelity Information Services organized the Habba in Siddapura, children from Inventure Academy ran the show in Handenahalli and T.C. Halli. The theme revolving around the Habba was “The Land of Stories” and each class had to come up with a model depicting a story using LEGO blocks. Come Saturday morning and all the locations wore a festive look. Shamiyana, music, colorful festoons created the perfect atmosphere for the Habba to begin. The event started off with a brief welcome to the children, parents, teachers, SDMC members, volunteers and department officials. Soon, teams were formed with each team consisting of a volunteer, teacher and an Akshara librarian. Each such team would coordinate the Habba in each class. It took a while for volunteers and teachers to gently persuade parents to tell stories to their children. Soon we saw the whole group interacting well with each other to decide on the story and started building different components of the selected stories using LEGO blocks. In a lot of instances, it was so heartwarming to see parents and their children guiding each other and joining hands to build models together. After 70 minutes, the outcome was astonishing and satisfying. In front of us, there were highly creative models. Beautiful LEGO models told us stories of ‘Simha Mathu Mola’, ‘Mangoose kills the snake’, ‘Monkey and the Crocodile’, ‘Punyakoti’, ‘Onake Obavva’ and many more.. The models were then displayed and one could see parents beaming with pride. One parent told us that so far, no one had invited them to the school to play. This event helped them to know their child better as they were unaware of their child’s talent. For once, they could interact well with teachers for a reason other than academics. The event concluded with the distribution of gifts and snacks to all children. Each school was also gifted with a LEGO box. Overall, the Habba, as the name suggests was like a Habba in the School, and was powerful enough to pull along parents, teachers, children and volunteers to come together to celebrate creativity !! We hope, this Habba is a gateway for better involvement of the parents in their child’s education and will initiative the demand for quality education in the future. Arvind Venkatadri, Head of Akshara’s library program, participated in the Habba in the GKHPS Handenahalli. Below Arvind shares his joyous experiences of the Habba. ” I reached Handenahalli at 9:10 AM, well in advance of the start time of the Habba, planned for 1130. I was immediately impressed by the level of preparation by the HM, Shri Bhaskar and his staff: a very colorful shamiyana was already up, the LEGO Habba banner was flapping in the breeze over the main gate of the school and the HM’s voice could he heard testing their PA system! The ground was spruce and clean and very soon I spotted Akshara’s Librarians, all smartly dressed for the occasion: Deepa, who works from this school and her colleagues Renuka, Pushpa, BhagyaJyothi, Lakshmi, Manjula and Pankaja from other schools in Anekal Block. The SDMC members arrived and so did teachers from the neighbouring schools, Bikkanahalli, Sollepura and Kotaganahalli; I recognized and was greeted by Shri Lakshmipathi of Bikkanahalli. For this Habba, we were expecting a whole bunch of volunteers from the Inventure Academy, an International School located near Dommasandra. Lavanya Vimala, a teacher at Inventure, called me to tell me they were on the way and soon enough the Inventure bus came rolling to the gate of the school. They were greeted by Shri Bhaskar and welcomed to the Habba. There were some students of Inventure and some parents as well, who were curious to see what this Lego Habba was all about. One of them, Anjana, started a very detailed shooting of the entire event, complete with interviews of participants. By that time a good few parents had also gathered, some grandparents too and were engaged in charming conversations with the Librarians. We quickly briefed them as to the plan; Prabha from Inventure agreed to be the compere and took charge at once. She kicked off the Habba by welcoming the assembled parents and the staff members of the neighbouring schools and the SDMC members. She gave a lovely introduction to the Theme of the Habba, “The Land of Stories”. Everybody was excited with the prospect of making Lego models to show off their stories. The children came streaming out of the classes to take their parents there; the teachers quickly took charge, along with atleast one volunteer from the Inventure group. Soon there were keen discussions in many of the classrooms: Children telling ” ajji” to decide on a good story and in some cases, children telling stories to the adults and exhorting them to adopt these as their story for the Habba. The volunteers helped create some wonderful talk: Prabha was very effervescent, as were many of of the other teachers. The Inventure Children sprang their own surprise: they had brought charts and banners of their own, handmade, which they decked up in the classrooms and also on the central stage in the courtyard. The stories were decided upon fairly quickly: the Thirsty Crow, the Rabbit and the Lion, from the Panchatantra and The Village Fair, a popular story in our Libraries. People decided upon how to build the stories: what creatures to make and what the surroundings were like and of course, deciding on the main event to depict. The Akshara Librarians then brought in the buckets full of Lego and upturned them on the floor. The surprise and utter delight on the childrens’ faces was a joy to behold, and they cheered as they dug in to get hold of the pieces they needed. The volunteers helped some of the shy adults to come out of their shells and make the models; the Inventure students thoroughly mixed with the children here and helped create some intricate models. Soon it was time to bring out the Story Models and display them on the stage. Librarian Manjula had drawn up areas on the stage where each class would arrange its Story Model. They were astonishing, the models. The Lion was a sheer delight, with mane and tail, as was the reflection of the lion in the water inside the well. The trees in the forest had been made with a lot of care, and foliage looked very real. The Crow looked very good too, cocky and street-smart. The Village Fair was full of detailed pieces: a merry-go-round, dancers, shops, games, even a mobile tower near the village. 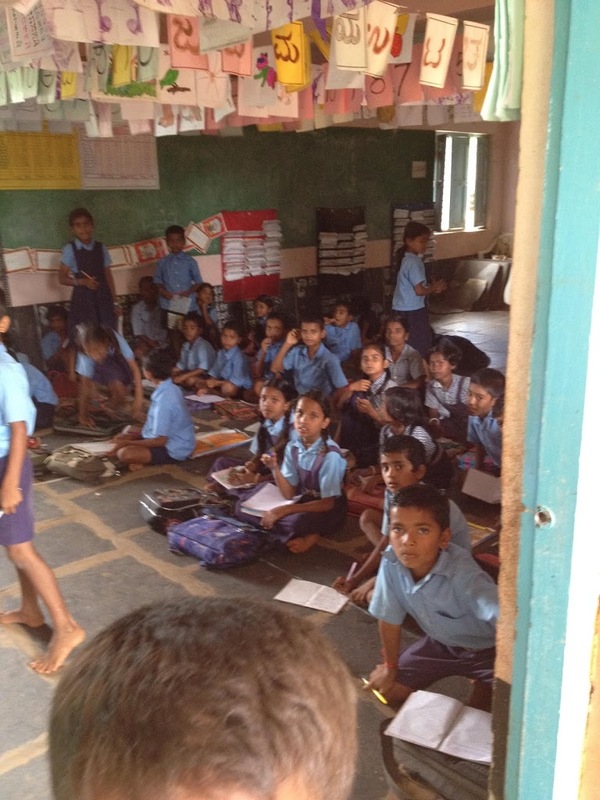 Prabha invited children from each class to present their story; each story was cheered by the closely pressed group. Parents delighted in the attention their wards were getting; I also met parents from the nearby anganawadi who had come in to find out what was going on. Finally, it was time to wind up the show. Prabha made the children cheer when she announced that there were gifts for everyone. The children quickly lined up in a crocodile as they streamed towards the gate. Akshara Librarians smilingly handed out goodies and snacks to each child, from both Schools. Some tiny tots from the anganawadi came up timidly asked for the biscuits too and gleefully accepted the gifts. It was the morning of September 5, celebrated in the country as Teacher’s Day in memory of the well respected former President of India, Dr. Sarvapalli Radhakrishnan. A day dedicated to the teacher and all that she symbolizes. The drive from our office in Bangalore to the small village of Marasandahalli in Hoskote Taluk took all of forty five minutes. 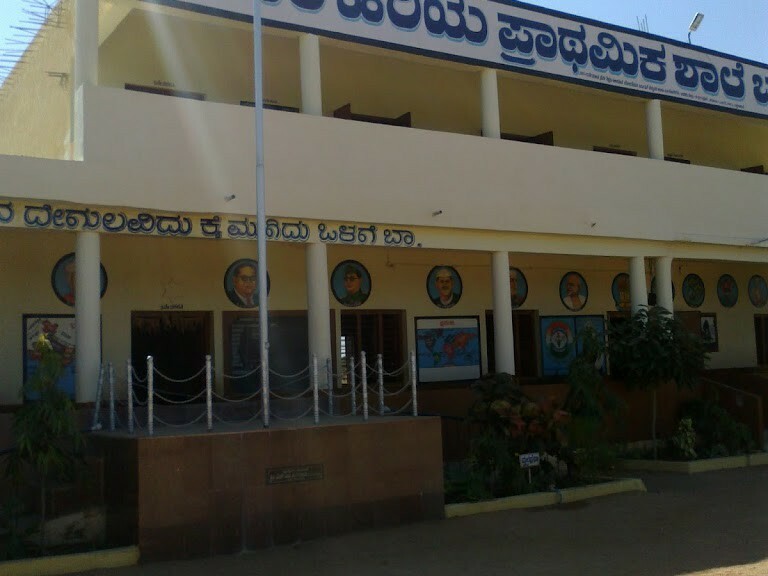 Marasandahalli is a little hamlet with a population of 650 people. It has a Lower Primary School (LPS) with a strength of 35 children. The school building looks solid. We were visiting to test and validate the theory that schools will work and children will learn if all stakeholders participate. And this was a learning institution where we got the best proof of the concept. It has two teachers absolutely devoted to the school and its children. One of them was present that day, the other was indisposed and could not make it. Every working day they travel 35 kilometres each way from their homes to this school. They walk the last 3-4 kilometres through village roads because the bus stops only on the main road. It does not daunt them; neither does their day disappear in traveling to and fro. These teachers are there for the children all the time. The parents and members of the School Development and Monitoring Committee (SDMC) are equally cooperative. They ensure that the teachers are not inconvenienced in any way and that they get a ride from the main road to the school on tractors or motorcycles most of the time. 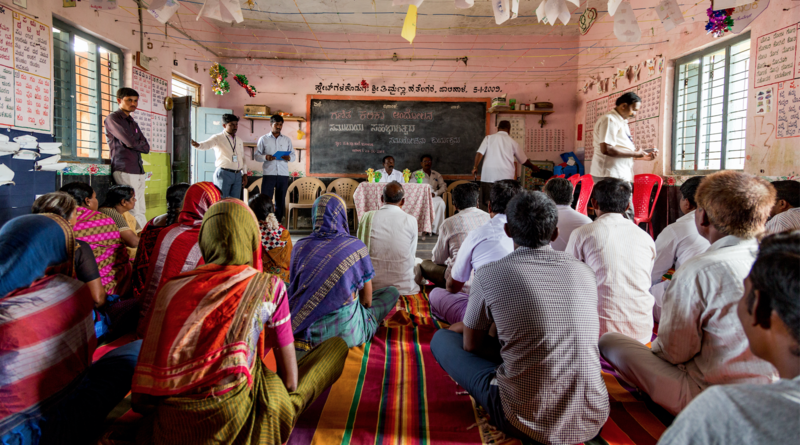 In fact, the parents had a clear statement to make to us, “We have requested the teachers to retire in our village when they do retire.” What more can one ask for? And the results speak for themselves. As children graduate from the fifth grade, which is the highest grade taught in the school, they appear for competitive tests that secure them admission to the Morarji Desai Schools and KGBV Schools and almost all of them make it there. After spending nearly an hour talking to parents, SDMC members, children and the teacher we walked away from the school with Lesson # 1: Teachers who carry the children, parents and SDMCs along with them make the greatest difference but these kind of teachers are rare. 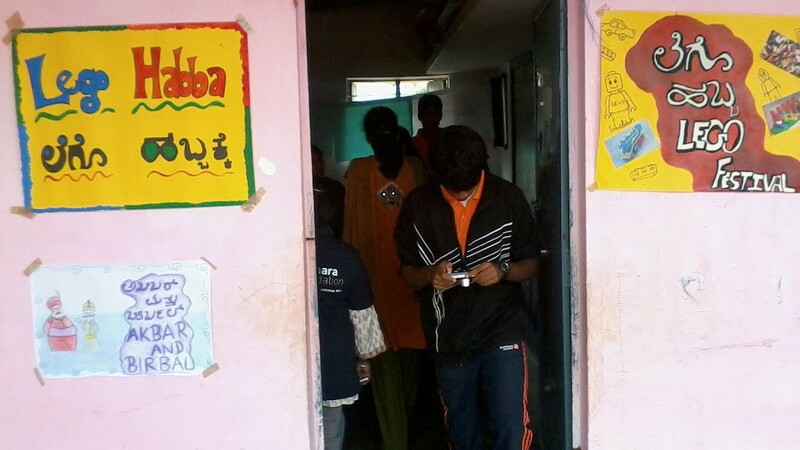 The next day saw us in Mundargi Block of Gadag District in North Karnataka. This is a place where human development indices are low. Our strategy in visiting a few villages here was simple – we would follow a routine of first talking to parents and SDMC members, usually a meeting that would take place in the village square. We would then follow it up with a visit to the school, meet the teachers and then talk to the children. Akshara has been supporting these schools with a Math and English component and intends to be here for all of three years to ensure that learning levels are lifted and that children grasp essential competencies. 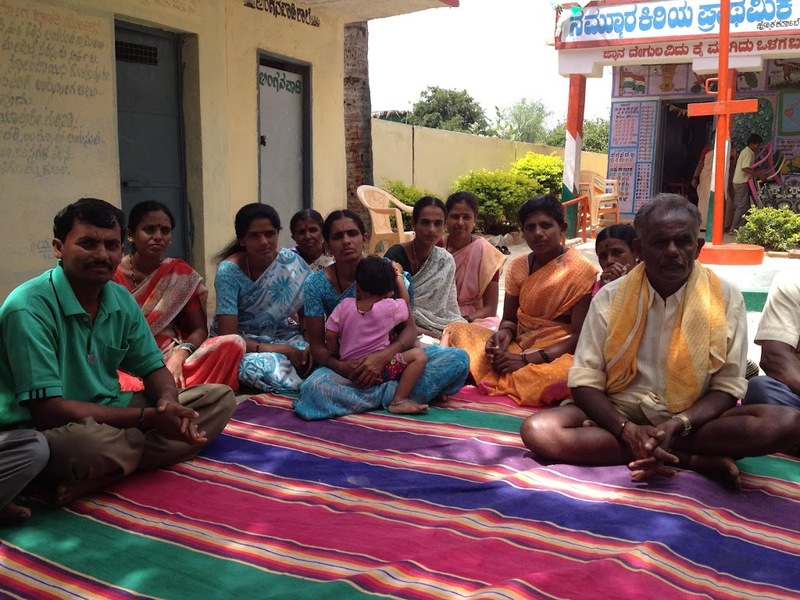 The first village we visited was Dambala. 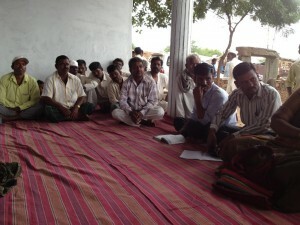 The villagers and the SDMC met us in the village square and we had the first good conversation of the day. We began by asking the oldest member in the congregation how old he thought the school was. “About 60 years,” came the answer. Our next question was, “What about engineers and doctors?” They were considered to be great jobs as well. Finally we said, in the last 60 years there have been many children who graduated from their village school. Do they remember anyone who made it to these “good jobs?” That set them thinking. Slowly they started opening up and said that initially they did not have enough teachers, but one day 24 of them went to the Block Education Officer’s office and demanded that their school be assigned teaching staff. It paid dividends. They were allotted two teachers. The SDMC is very active in this village. The SDMC President himself is at the school every day and makes sure that the teachers are there and that they are all teaching. We then walked to the school – a Higher Primary School (HPS) with 450 children; went to Std. V and started talking to the children about Math. We gave them simple sums in the presence of the teachers, SDMC members and parents and the children did better than we thought they would. The parents were very excited – this was the first time in living memory that they had actually gone to classrooms and seen for themselves how their children studied. It has given them confidence and they told us they would continue this practice periodically. So Lesson # 2: Schools work better if teachers, SDMCs and parents work together. That same afternoon we decided to visit a school by giving them only an hour’s notice. When schools expect us we always hear what we would like to hear and I for one have always been suspicious that we do not really know the truth all the time. Our first glimpse of the school told me we were in for some rude shocks. The school yard was filthy and there was stagnant water. While the teachers were polite to us it was clear that they did not have a positive story to tell us. They started with complaints – how parents do not understand the value of education, how they were under-resourced and so on. To us the message was clear – it was an under-performing school. And when we started asking questions we learned that the SDMC was not functional, which means there was literally no one to keep an eye on the way the school was managed. This was the only school that asked us to write our comments in their school visitor’s book. No other school we went to had asked us to do so. The following day we visited a similar school in Kushtagi Block of Koppal District and saw pretty much the same symptoms. It became clear to us that Lesson # 3 was: There must be a robust, functioning SDMC to make the school work. (a) Enrolment was high but the attendance of children was typically 70-75%, which meant that either on an average school day more than 25% of the children are absent or the enrolment number is wrong. (b) The ratio of male to female children in the schools that were poorly managed was highly disproportionate – schools that were well managed had near parity in the gender ratio. While conditions are certainly far from desirable it has to be said to the credit of the government and Sarva Shiksha Abhiyan (SSA) that there was adequate infrastructure – nowhere did we see dilapidated schools. It was also clear that when a demand for better schooling was articulated by the community, the system found a way to get what the schools needed. So, to my mind it then becomes a question of deciding if the glass is half-full or half-empty. If the former, then teachers and SDMCs and parents do manage to find ways to leverage existing investments and improve the schools but if the attitude is that the glass is half-empty and we cannot move till it is full, then the schools and the children lose out. The challenge for all of us would then be – how do we manage to improve the quality of demand, start from what we have and build on it? This is something that Akshara will work hard to achieve and we need the support of everyone in society to make this happen.